← Sheffield Steelers line up with G&J Hall on the ice. Powerbor PB70/2 and PB70FRV bring real versatility to the workshop or onsite. We have remodelled the former PB70 into the PB70 FRV. This exercise involved making the front panel less cluttered and more ergonomic, the speed and torque controls are now placed on the drill unit so they can be accessed during use. The electrical components and wiring of the control panel have been simplified for ease of maintenance and repair. All of the functionality of the former PB70 has been retained. 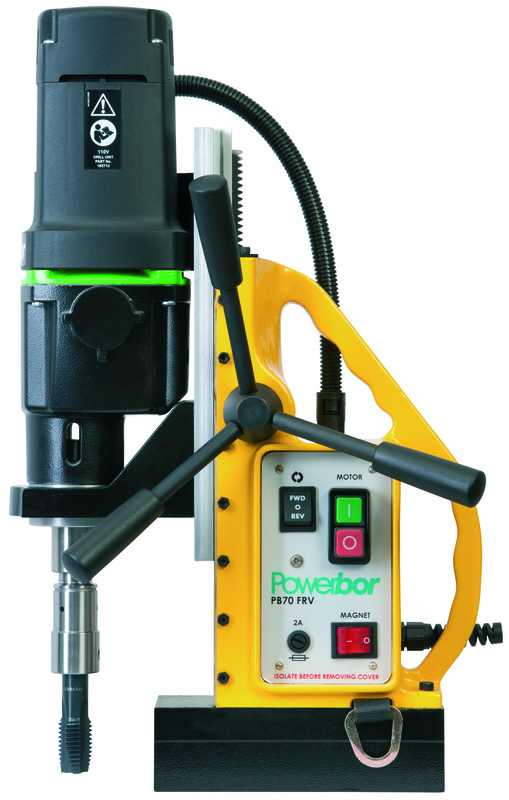 The PB70 FRV has all the features of the PB70/2 plus FWD/REV for tapping, electronically variable speed with feedback, torque boost and both load current and thermal overload. 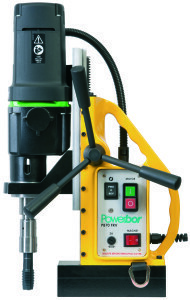 So for basic drilling up to 70mm the PB70/2 is the best choice. 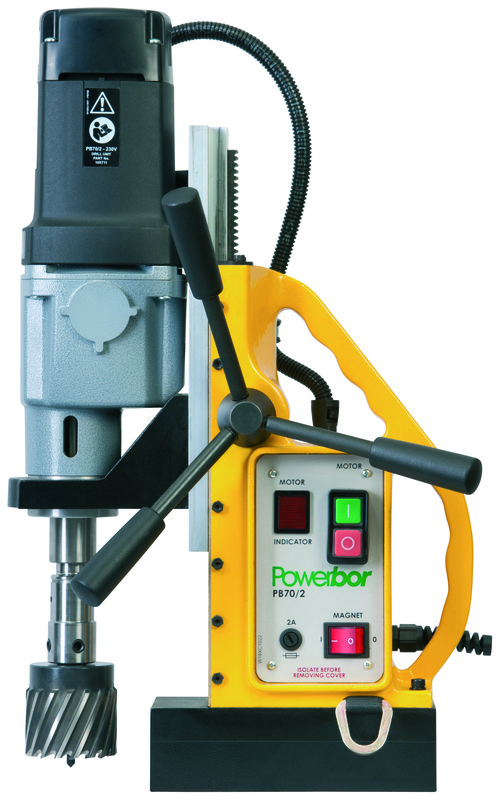 For more advanced drilling and tapping and precise speed control, the PB70 FRV is the best option. This entry was posted in cutting tools, Drilling, Electromagnetic Drills, General, Hand Tools, Mag Drills, Our Products, Powerbor and tagged engineering. Bookmark the permalink. > ABOUT G&J HALL LTD.